Upon arrival in Shanghai, the first thing that Taylor sought to do was to look for a suitable location to establish an operations centre from which the CIM could be administrated. 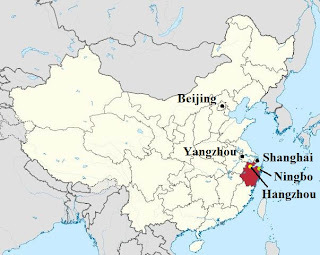 Two cities came to his mind immediately: Shanghai and Ningbo. But neither were found to be suitable, since both were treaty ports and were thus politically and culturally under more direct Western influence. 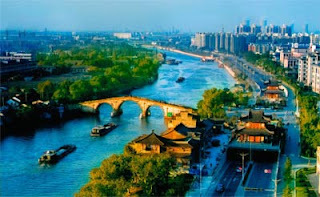 What Taylor was seeking for was a strategic inland city that was firstly, under less direct influence from Western powers and secondly, more connected to the inner parts of China. 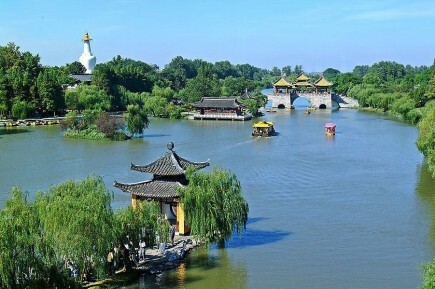 Heaven above, Suzhou and Hangzhou below (上有天堂，下有苏杭). It was this common Chinese saying that caught Taylor’s attention to yet another city in which he could establish CIM’s headquarters. Revered as a city of cultural splendour and magnificent sceneries since antiquity, Hangzhou (杭州, Hángzhōu) is strategically situated at the mouth of the Grand Canal (大运河, Dà yùnhé), a major trading route connecting many major Chinese cities and settlements starting from Beijing in the north. It was thus this city that Taylor chose to establish CIM’s first headquarters in. Settling in the scenic city of Hangzhou, capital of Zhejiang Province (浙江, Zhèjiāng) Taylor and his team began work almost immediately. With the medical knowledge that he had obtained back in England, Taylor opened a clinic, seeing hundreds of patients with a large array of problems every day. In addition to treating patients and providing basic medical care, he also went on frequent trips around the city, propagating the gospel in public spaces and teaching people about the Word of God wherever he could. He also started sending out some members of his team to neighbouring regions and towns where they could propagate the gospel and provide basic medical care and education to the people. By November 1867, the end of their first year in China, CIM missionaries were active in at least 11 nearby towns and cities in Zhejiang and neighbouring Jiangsu Province (江苏, Jiāngsū), including Jiaxing (嘉兴, Jiāxīng) in the north and Wenzhou (温州, Wēnzhōu) in the south. Baptisms and conversions were few initially, but the missionaries received hundreds of enquiries regarding Christianity and the gospel. Taylor strongly believed that the spread of the gospel in China could be accomplished more effectively if it were to be done by the Chinese themselves as compared to foreign missionaries. For this reason, he held firm to the principle that once a local Christian community was strong enough, its leadership should be handed over to dedicated and capable Chinese Christians with a diminishing role on the part of foreign missionaries. 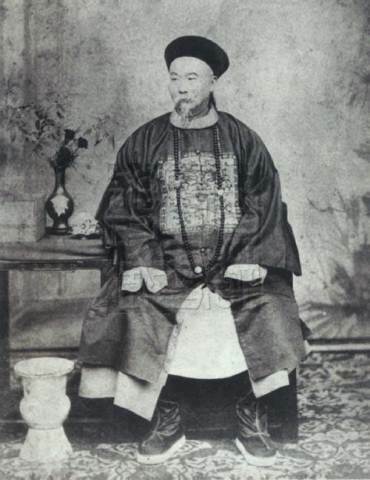 In the summer of 1868, Taylor felt that the Chinese Christian community in Zhejiang was strong enough to stand on its own, subsequently appointing Wang Laijun (王来俊, Wáng Láijùn) (1835 – 1901) as pastor and leader of the churches in the province. It was thus time for the CIM missionaries to move inwards, deeper into the unreached inland provinces. 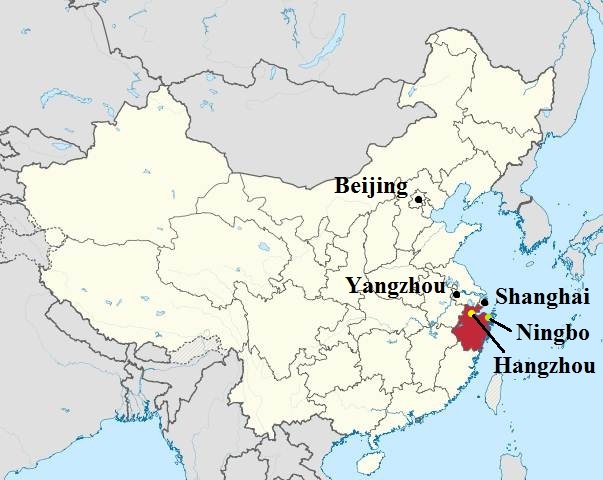 Moving up to the city of Yangzhou (扬州, Yángzhōu) in Jiangsu Province, Taylor brought with him a party of missionaries to begin a new mission there. Nevertheless, his coming to the city was initially less than welcomed. Prior to Taylor’s arrival in Yangzhou, a Catholic orphanage had been established in the city, where a number of infants had died of natural causes. This fuelled rumours and superstitious fears that foreign missionaries were into the business of kidnapping children to extract their body parts for medicinal purposes. 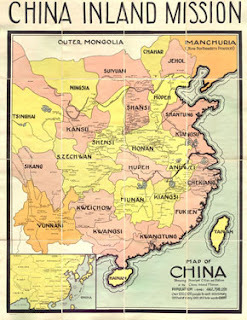 Not long after the arrival of Taylor’s party, a meeting was held by the Chinese scholars and aristocrats in the city, whereby it was decided that the missionaries should be expelled from the city immediately. Soon after, numerous handbills and posters were issued and distributed, accusing Taylor and the CIM missionaries of absurd charges such as scooping out the eyes of the dying and opening hospitals to kidnap and eat children. The CIM missionaries countered these false slanders by distributing handbills to the residents of the city, promising to open the mission premises for public inspection as soon as repairs were done on the building to prevent it from endangering the crowds. These efforts were, however, unable to quell the superstitious fears and rumours among the residents of Yangzhou. One night, wild rumours that accused the missionaries of kidnapping 24 babies spread like wildfire throughout the city, consequently stirring up an angry mob numbering in the thousands. They marched towards the mission house, carrying torches and throwing bricks at the windows. 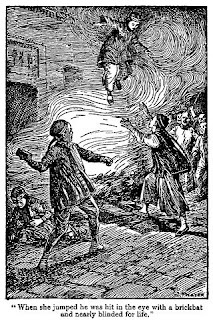 At this point, Taylor managed to escape with another missionary, only to be stoned badly by the angry crowd as they made their way to the residence of the local magistrate. They finally arrived at the residence safely, where they made a request to the magistrate for protection of the mission premises. With much reluctance, the magistrate agreed to send reinforcements. Upon returning to the mission premises, Taylor found that the house was partially burned and the missionaries’ possessions looted. Things were in an utter mess, and it seemed that no one was to be found amidst the heaps of destroyed goods and furniture. Just when all hope was about to be given up, Taylor found all the other missionaries badly injured but alive, hiding in a neighbour’s house. They managed to escape in time and slipped away from the crowd before they could be caught alive. The incident, infamously known as the Yangzhou Riot (扬州教案, Yángzhōu Jiào’àn), had far-reaching effects for both the CIM and Anglo-Chinese relations. The missionaries left Yangzhou temporarily for three months, having made their way downriver to Shanghai. Taylor reported the incident to the British consul in Shanghai, Walter Medhurst (1822 – 1885), who subsequently took things out of hand and sent a fleet of gunboats up to Yangzhou to demand that the local magistrate be brought to the Chinese viceroy in Nanjing to be judged. Being backed by the British ambassador to China Sir Rutherford Alcock (1809 – 1897), Medhurst then sent a naval squadron to Nanjing, exaggerating the losses faced by the CIM missionaries and demanding exorbitant compensations from Viceroy Zeng Guofan (曾国藩, Zēng Guófān) (1811 – 1872) in Nanjing. Medhurst and Alcock’s move in extracting compensations by the power of the gunboat received sharp criticism and resulted in disciplinary action from the British Foreign Office. Nonetheless, the effects of their actions bore much graver implications for the CIM. The British press started giving bad publicity for the CIM, putting it in a negative light and blaming it for attempting to spread the gospel at the point of a gun. 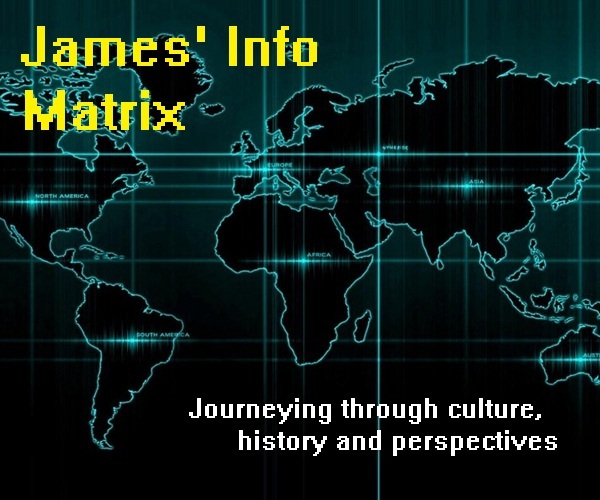 The CIM was also blamed for causing a crisis in the thriving Anglo-Chinese relations, and there were even talks in the British Parliament of banning missionaries from going to China. As a direct result of all these bad publicity, the CIM faced a temporary drop in financial support, but Taylor and his wife were quick to stand in its defense, asserting firmly that they had never approved the use of gunboats and compulsion that Medhurst and Alcock had resorted to. Things soon improved, and three months later, when the mission house in Yangzhou was fully repaired and refurbished under the order of the local magistrate, the missionaries returned. This time, they found the residents of the city more receptive to the gospel. Many of them, including those who had formerly attempted to kill the missionaries, now came in throngs to learn more about the gospel, with some of them even choosing to receive Jesus as their personal Saviour. In spite of all of CIM’s achievements and successes, all was not smooth sailing within the society itself. 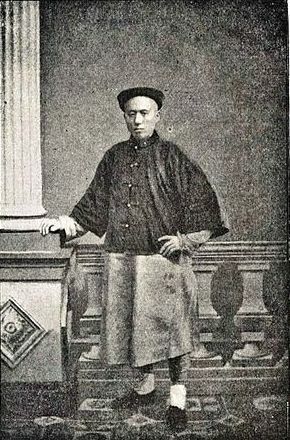 Bitter disputes between Taylor and some of the missionaries arose with regards to issues such as wearing Chinese attire and sending unmarried women as missionaries to the interior regions. There were also those who were more attracted to other established missionary societies in China, and also those who gradually lost interest in missionary work. 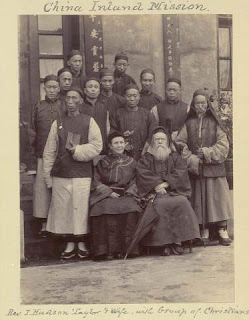 As a result, a number of those who initially came to China with Taylor in 1866 subsequently left CIM, resulting in a dwindling missionary force in the face of CIM’s growing coverage in China. Things subsequently became more disorganized in the CIM, both in China and in England, with the CIM branch in China facing a severe shortage of missionaries and finances, and the branch in England seeing a lack of administrative manpower. Taylor’s fall while on a river boat in China in 1874, which left him paralyzed for some time after that, became a severe blow to his usual robustness and physical strength, as well as that of the CIM. It seemed at that time that the CIM was in such a “pathetic” state that it could no longer last and might have to be disbanded at any time. For Taylor, the loss of his physical strength and vigour ironically meant a gain in his spiritual strength. Unfazed by the discouraging realities facing himself and the CIM, he resorted to the only weapons he had in hand – faith and prayer. With a spirit and determination burning ever so brightly to bring the message of the gospel to all the inner provinces of China, he prayed fervently for the society that he founded, seeking divine intervention for more missionaries, manpower and finances to propel the CIM out of its miserable state. His faith in his prayers was followed by bold requests published in England, seeking capable men and women who were willing to engage in missionary work in the Far Eastern empire. His temerity knew no bounds, for he unembarrassingly published public advertisements from time to time in subsequent years, seeking more willing individuals from England who were interested in joining the CIM as missionaries even during times when the society had more than enough manpower to expand its missionary coverage in China. From its “pathetic” state, the CIM was soon able to bounce back and expand its horizons in spite of its daunting trials. Taylor’s prayerful requests soon came to realization one by one in quantities that were more than he expected. From a reported meagre balance of £0.87 in the CIM’s account in April 1874, the amount soon swelled to £4000 two months later after receiving an anonymous letter from England. By the time the CIM reached its tenth birthday in 1876, the number of missionaries in China had grown to a total of 52, with an active and thriving presence in five provinces, namely Zhejiang, Jiangsu, Anhui (安徽, Ānhuī), Jiangxi (江西, Jiāngxī) and Hubei (湖北, Húběi). The CIM’s subsequent string of successes did not just stop there. By 1885, Taylor succeeded in raising another £14,000 and recruited more than 70 new missionaries, including the prominent Cambridge Seven, a group of seven students from Cambridge University who experienced deep religious conversion and thereafter offered to become missionaries in China. The CIM by then comprised as many as 225 missionaries and 1655 members operating 59 churches throughout the Middle Kingdom. Two years later, the CIM saw an additional 102 missionaries joining its ranks, and Taylor managed to raise a whopping sum of £105,000. By 1895, the CIM was already accepting missionaries from America, Australia and New Zealand to work in China. Being effectively the single largest Protestant missionary group in China by then, missionaries of the CIM were actively propagating the gospel and building churches in almost every province in China, including the innermost provinces of Gansu (甘肃, Gānsù), modern-day Qinghai (青海, Qīnghăi) and Ningxia (宁夏, Níngxià), and Tibet (西藏, Xīzàng). 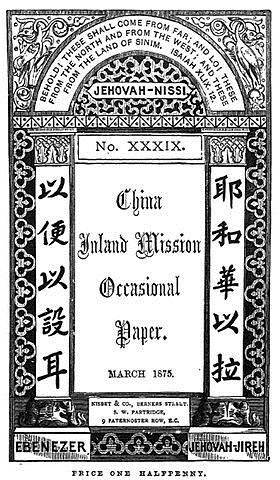 Having covered the establishment and the ups and downs of the China Inland Mission under Hudson Taylor, we shall now move on to the subsequent part of this article, where we will shift our focus to a specific part of the vast Chinese empire – Shanxi Province.